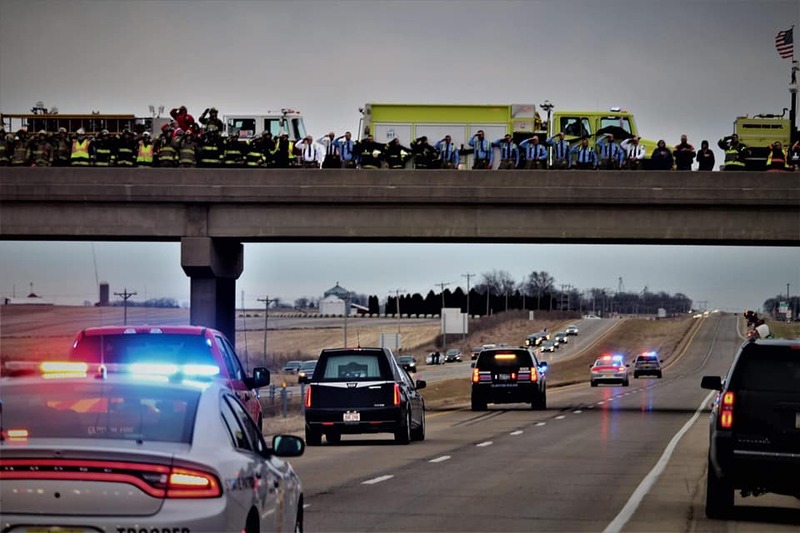 Hundreds of people, including dozens of firefighters and law officers, lined streets and overpasses in eastern Iowa to salute a fallen hero. Supporters met the return of the body of Clinton Firefighter Eric Hosette as he was returned on Sunday afternoon. The 33-year-old Hosette was killed as he was fighting a fire at the ADM plant on Saturday. The body had been transferred to the state medical examiner’s office in Ankeny for an autopsy. Funeral services are still being planned but are expected to be held later this week. Clinton officials say a second firefighter was badly hurt in the fire. He’s identified as 23-year-old Adam Cain, who is breathing on his own, awake and alert at University Hospitals in Iowa City. Hosette had also served on the Volunteer Fire Department in the nearby town of Charlotte.